If you are a mystery fan, Christmas by Agatha Christie is a book for you. Her books are easy and entertaining with excellent plots. Check it out! It’s Lee family’s dreadful Christmas holiday reunion. The event is shattered by a deafening noise and squeaky scream. On the second floor, the tyrant, Simeon Lee, is dead in a pool of blood. When Hercule Poirot comes to assist, he finds an atmosphere of animosity and no grieving at all. Everybody seems to be as good a suspect as the next person. Not to his brilliant mind! This is what I’ve come with regarding the main archetypes. If you have any ideas about it, please leave a comment. Act 1 Poirot is living his normal life and is invited to a Christmas event. Trigger/POA At the event, the host dies mysteriously. Climax Poirot confronts the suspects and explains the murder. Born in 1890, Agatha Christie is the most widely published author of all time. She created the detective Hercule Poirot in her debut novel, The Mysterious Affair at Styles (1920). With a total of eighty novels and short-story collections over six decades, her books have sold more than a 2 billion copies worldwide. She died in 1976. The plot presents detective Hercule Poirot investigating the murder of a wealthy old man. Simeon Lee invites his family, sons, and granddaughter, for a Christmas event at his home for a few days. It all seems the gathering is a helpless effort to settle right terms between family members. Stephen Farr arrives unexpectedly, claiming to be the son of his former partner; Tension lingers around the house. A furniture commotion and a horrible scream in the old man’s bedroom occurs to set everyone as potential murder suspects. They have to break the door down to get inside the locked the room. There, they find the old man lying dead on the floor with a cut throat in a pool of blood. How was it done from inside a locked room? What happened to the missing diamonds? What about the strange rubber triangle and the peg found on the crime scene? 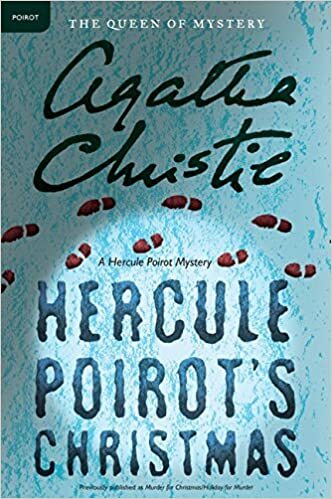 The nature of that strange family leads Hercule Poirot to unexpected conclusions that go way back to the victim’s past. Avoiding a suspicious murder attempt, Poirot is able to expose numerous characters that are deceivers and solves the crime. What a true classic! Agatha Christie was such a prolific and talented writer. More younger people need to start to read her works. I have read only a couple of her novels, but it sounds like I would enjoy this Christmas novel. Thanks for pointing this specific one out as I needed something entertaining to read. Thanks. Thanks for sharing your opinion. Enjoy the book. 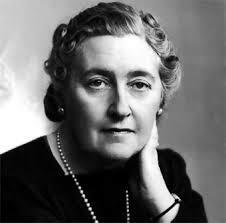 I read Christmas by Agatha Christie when I was a teenager. In fact, After my pre-teens, I grew up reading this notorious British author. She is a master of the mystery genre. Great article! Thanks for sharing you opinion. Cheers!